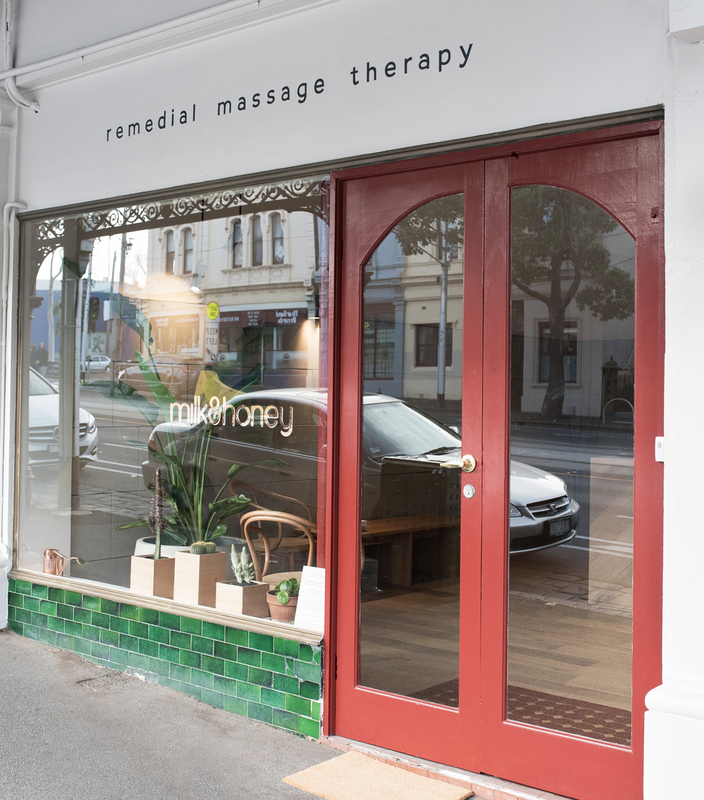 You’ll feel your stress melt away as you step through the doors of Milk & Honey Remedial Massage, a stylish new therapy space in West Melbourne. There’s an instant calming effect – the shoulders drop, heart rate slows, and you’ll take a deep breath – as you close the doors on the bustling outside world and enter this tranquil oasis. Milk & Honey’s philosophy is to offer all the physical benefits of clinical remedial massage, but without the bright lights of a typical clinical setting. Instead, this beautifully designed space truly feels like a luxury day spa, complete with warm fluffy towels and aromatic essential oils. Quite simply, it’s the best of both worlds – and it’s worth crossing town for. Housed in a two-storey Victorian building, Milk & Honey has all the architectural features we’ve come to love in period homes of this era – high ceilings, ornate cornices and ceiling roses, and grand open fireplaces. 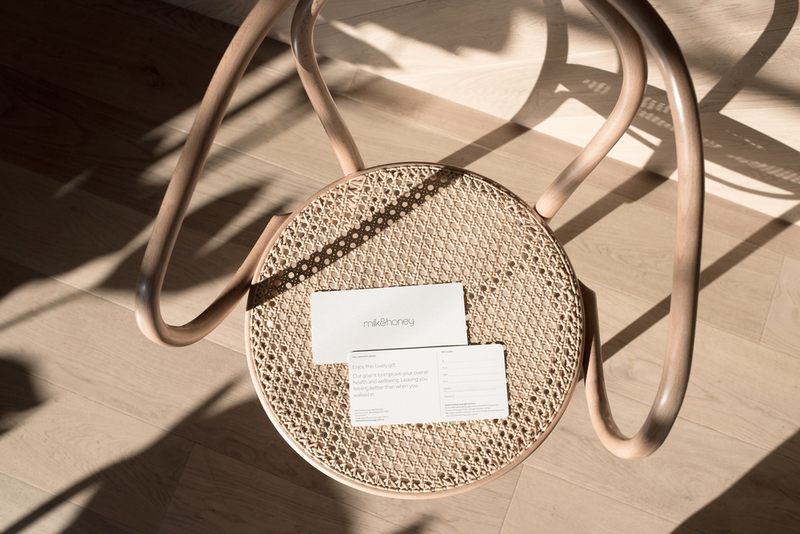 But with clever interior design by Grace and Martin at Milligram Office this traditional space has been brought into the modern era, with Scandi-inspired touches that include freshly painted white walls, oak floors, natural stone features and beautiful linen curtains. No detail has been overlooked. Plus, with soothing music piped through the sound system, comforting organic herbal tea on arrival, and a warm greeting from behind the reception desk, you’ll feel relaxed before your massage even begins. 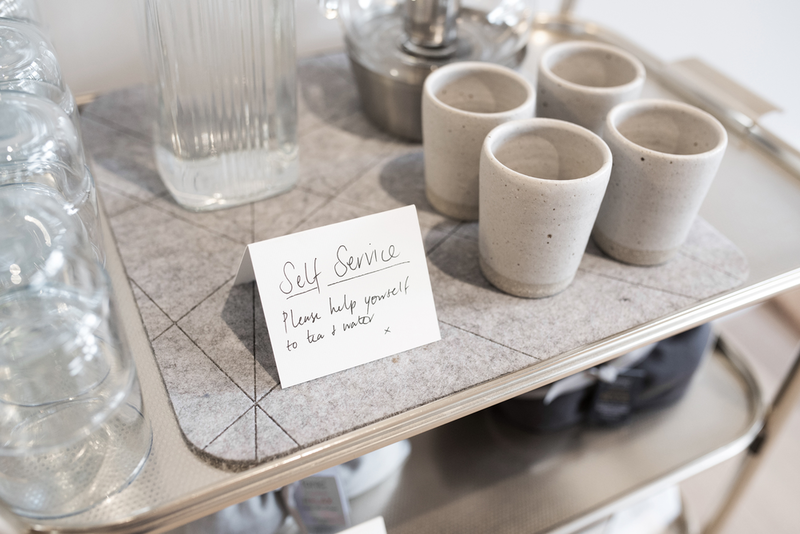 Simplicity is key at Milk & Honey, not only with the clean lines and uncluttered interior design, but also with the user-friendly massage menu. Instead of a long overwhelming list, simply choose from three options – remedial, pregnancy or relaxation. Each offers a range of possible durations, to suit your cost and time restraints, from 45 minutes through to 90 minutes. Pregnancy massage is a key feature of the offer, with specially trained therapists who love working with women throughout their pregnancy and post-natal journey. Before commencing your treatment, your experienced, fully qualified massage therapist will ask targeted questions to understand your specific needs and priorities, while also offering advice about the best way to avoid these aches and pains in the future – for me, that included making smarter ergonomic choices and being diligent with my post-exercise stretching routine. The massage itself was expertly delivered, with just the right balance of pressure, pain (the good sort!) and relaxation. It was such a treat to escape to this beautiful calming space; even though it was a remedial massage, I still felt like I’d been pampered for an hour. With such a winning formula, it’s no surprise that business is booming. The current space has been open since June 2018 – the third location for this 6-year-old business – as demand was once again exceeding supply. The current location now employs ten fully qualified remedial massage therapists, all of whom are registered providers for health funds, and undergo regular professional development to maintain this standing. If you’re keen to experience Milk & Honey’s unique offer for yourself, check out www.milkandhoneymassage.com.au. Online bookings are preferred, and be sure to book in advance to avoid disappointment. Please note that relaxation massages cannot claim the health care rebate.